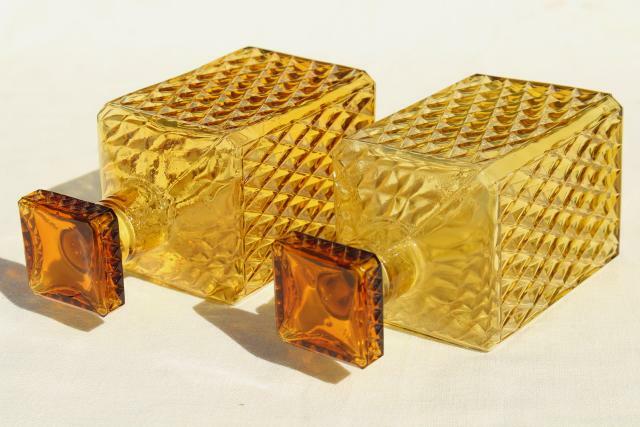 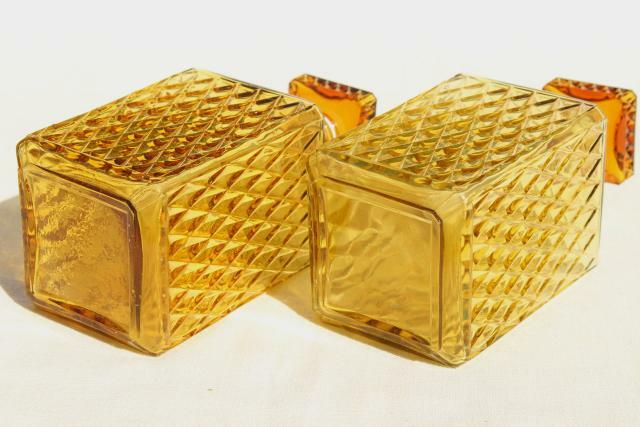 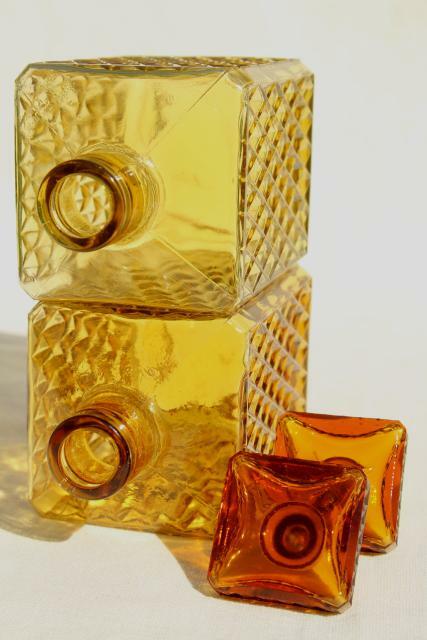 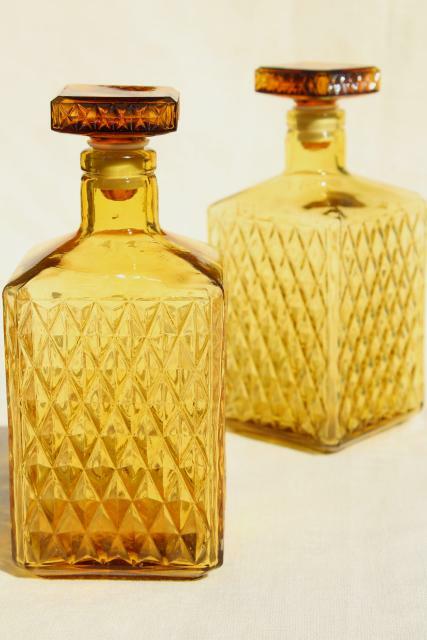 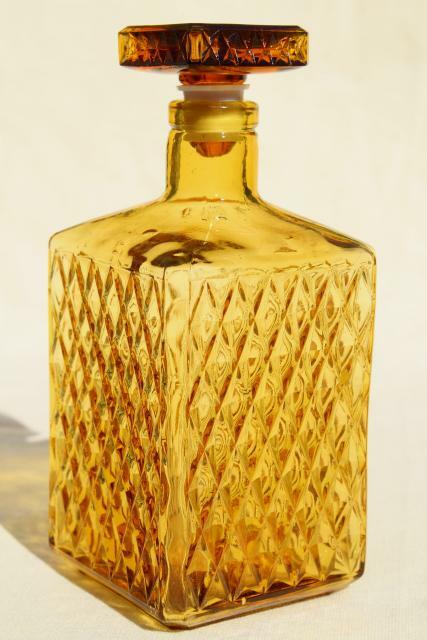 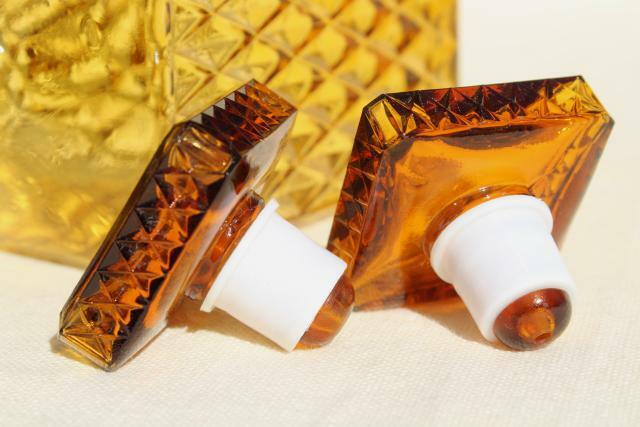 Pair of 1960s vintage amber glass decanters, 3" x 3" x about 7" tall. 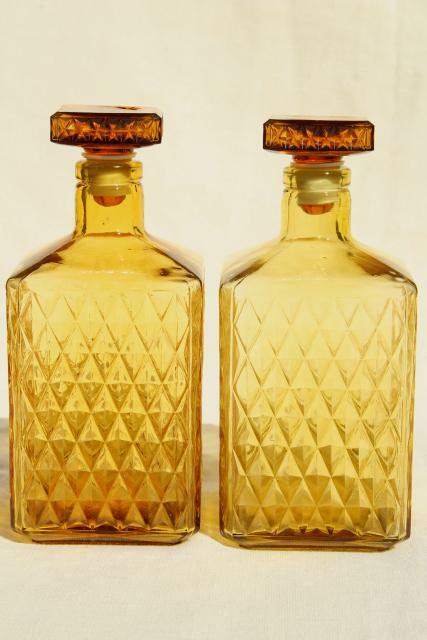 These are both in very good condition without damage. 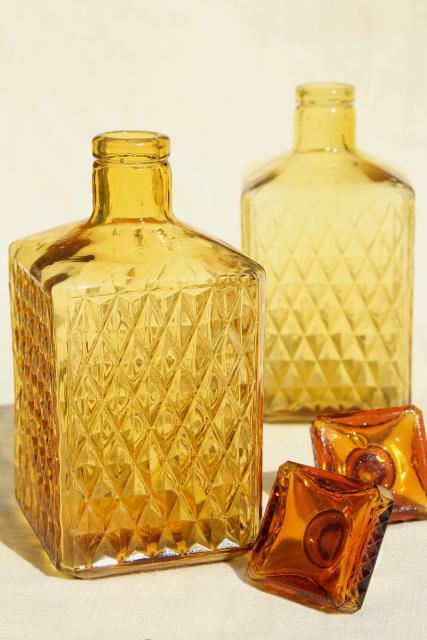 Cool pieces for your retro bar or bar cart!